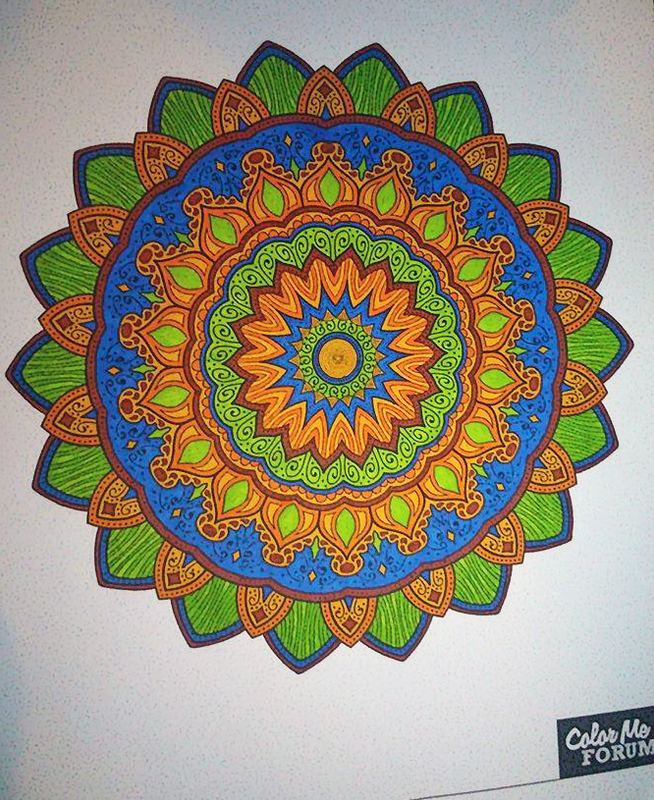 This is my second attempt at an ornamental mandala….and it’s so much better! It looks great no matter how you color it! Recommend light colors on this one, at least in the area where the decorations are because darker colors will hide them. If that's your thing though then it's a good strategy to use. Could go over them with metallic pens also. Logo size is smaller in recent versions, this one was colored when it was first released.